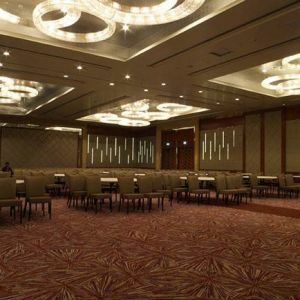 The Sheraton Bangalore Hotel is centrally located near the Bangalore International Exhibition Center in the city known as the IT Capital of India. 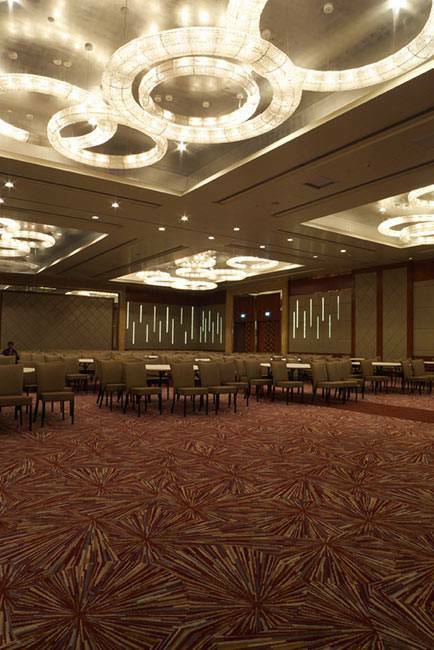 Over 1,950 square meters of event space comprise 11 unique venues, while six restaurants and lounges offer casual or fine dining. 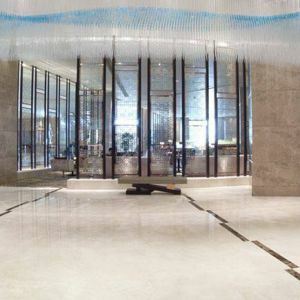 Upon entering the hotel, you are welcomed by an interior dominated by “a silk ribbon in a gentle breeze,” the precise words used by the client in describing his vision for the hotel’s lobby lighting fixture. 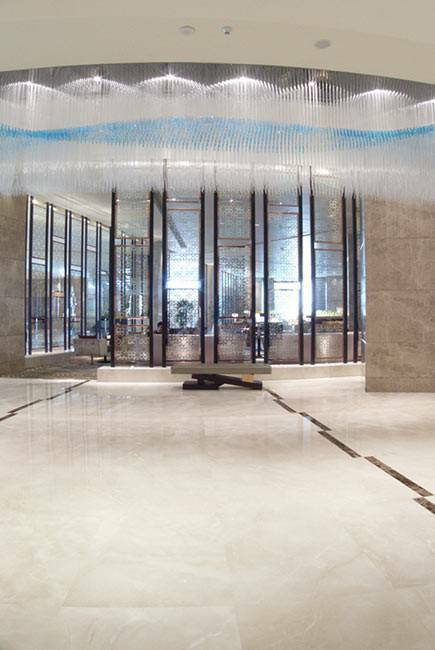 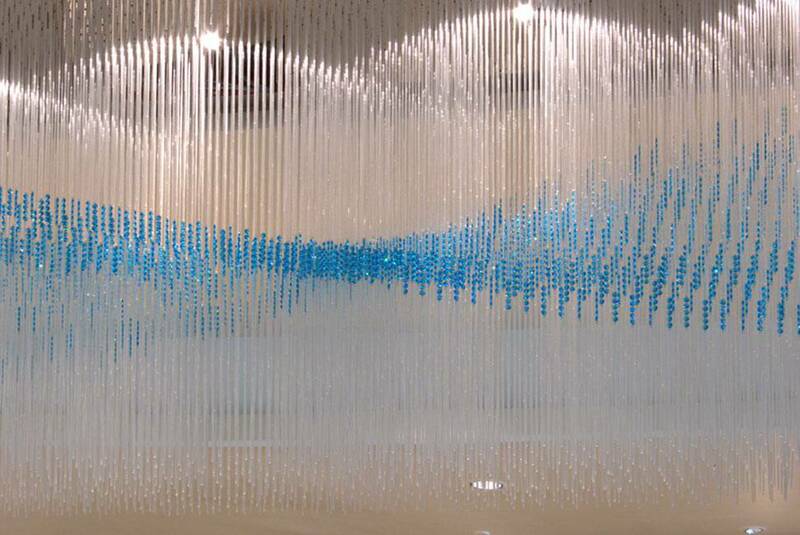 The result, a 26-meter glass lighting object created by PRECIOSA Lighting and developed by designer J. Bejvl jr., runs throughout the interior. 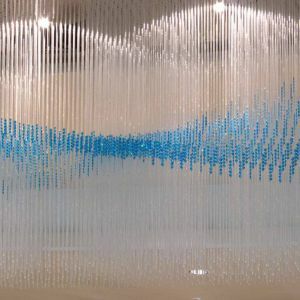 The rolling ribbon motif appears different from every angle it is viewed. 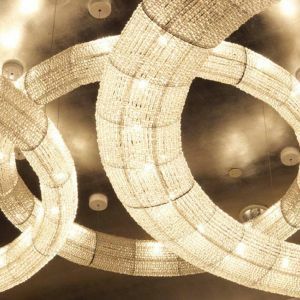 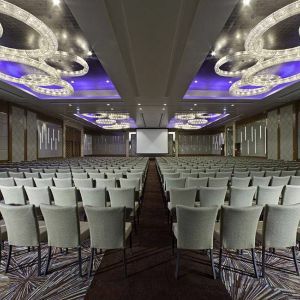 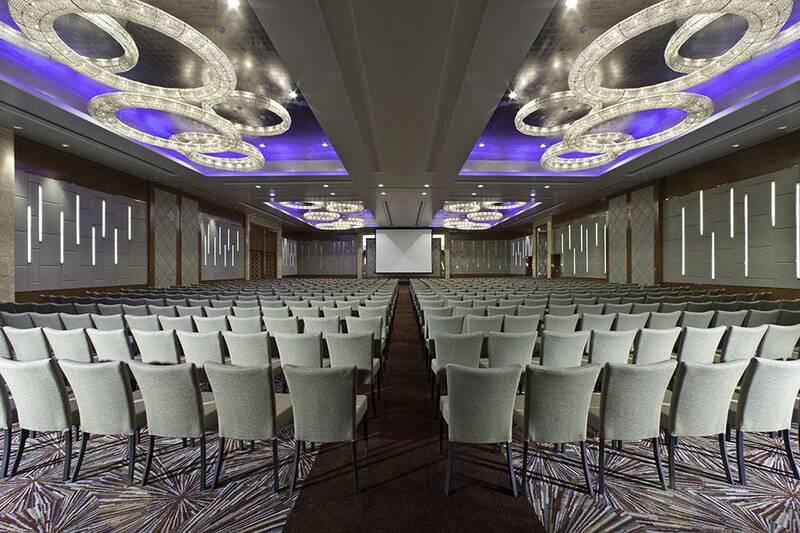 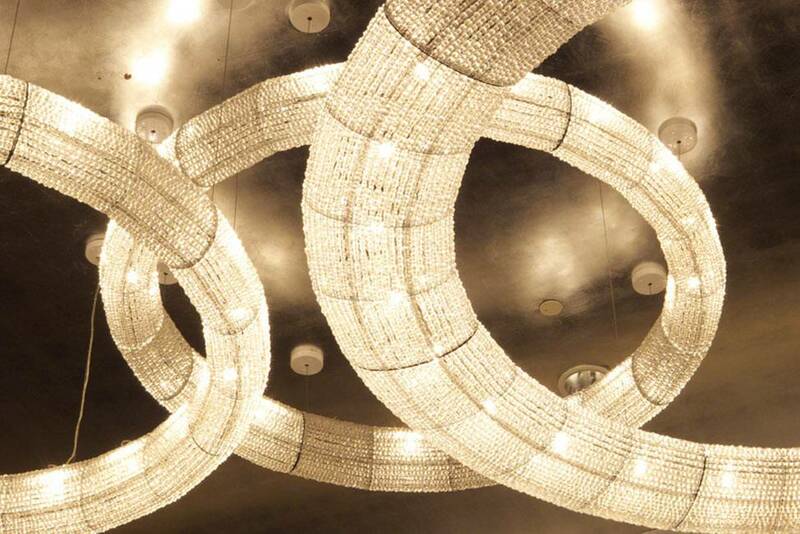 And the structured ceiling of the hotel’s ballroom is stylishly hemmed with PRECIOSA fixtures of glass beads placed around rings of various sizes.